You don’t need a gym membership to get in shape. There are a lot of ways to stay fit on a tight budget, and here are just a few of them. Fall is the time of year when the days begin to get shorter and the winter holidays begin to occupy your mind. It is when most people start to relax and become a little less committed to keeping that fit body you worked so hard to have for swimsuit season. With the upcoming holiday season and all the parties that come with it, most people have to watch their finances. And a gym membership can become a luxury many people simply can’t afford. 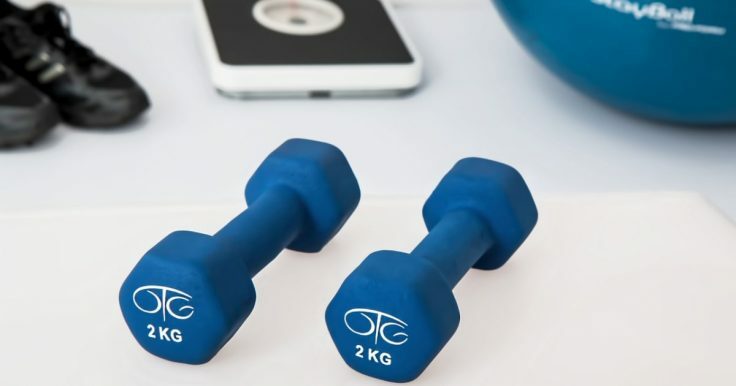 While keeping a membership to your local gym might not be possible, there are many types of affordable workout equipment that will enable you to stay fit by working out at home. Here are some options to help you stay fit on a tight budget so you can proudly show off how you didn’t let your body go while enjoying the winter holidays. Also, these tips will benefit anyone looking to get fit year-round! Before buying any equipment to work out with, you need to figure out what you can afford to spend and what your workout goals are. There are plenty of options to pick from, depending on what your personal goals are. Most people wish to become muscular, build their endurance, or simply stay fit and maintain their appearance. The best workout regimens use a little of all three types of workouts but depending on your goals, you might want to focus on one area more than the others. For people who wish to build mass, using weights of some sort is necessary. There are many affordable brands of dumbbells, barbells or kettlebells. The most cost-efficient types are adjustable ones. They not only will save space but by being adjustable, you can increase the weights you are lifting as you build more muscle. Adjustable weights are perfect for a pyramid with descending set routines. If you aren’t able to afford weights don’t fear as you can simply fill gallon jugs with water and use these for lifting. In terms of weight, an Imperial gallon is just over 4.5 kilos or 10 lbs. There are almost as many different types of workout regimens out there as there are people wishing to try them out. If you are looking to stay toned and aren’t as concerned with building mass, then the best option is to find an exercise routine that you enjoy taking part in. Finding that ideal workout is as easy as turning on your computer and doing a quick search online. Many won’t cost any additional money, which is great for those who are looking to stay fit on a tight budget. Usually, workout regimens you see late-night in commercials are designed to help you get fit and stay that way. Searching Google or YouTube will help you find someone doing your preferred routine and you can exercise along with the video while saving some money. Aerobic exercises are the best way to increase endurance. The simplest way to accomplish this is to purchase a pair of trainers and go for a run. Running isn’t for everyone though, but that isn’t a problem. Spinning, Rowing and Elliptical machines all will help build your endurance. There are plenty of affordable options for rowing and cycling machines at home, or you can simply purchase a bike to ride regularly. Elliptical machines tend to cost a bit of money. So a great way to get the same effect is to go to a tall building and walk up and down the stairs until you have to stop. Not being able to afford to workout should never be an excuse if you really want to stay fit. With a little creativity and using your imagination, there are plenty of different ways to make up for not being able to afford a gym membership. So you don’t need to forgo exercise. Whether you wish to build mass, stay toned or increase your endurance, if you have the will, there is always a way to stay fit on a tight budget.